IOWA CITY, Iowa -- Jordan Bohannon's tremendous 3-point shooting - and the respect he showed in preserving a record held by Iowa legend Chris Street - gave Hawkeyes fans a rare reason to smile at the tail end of a dismal season. 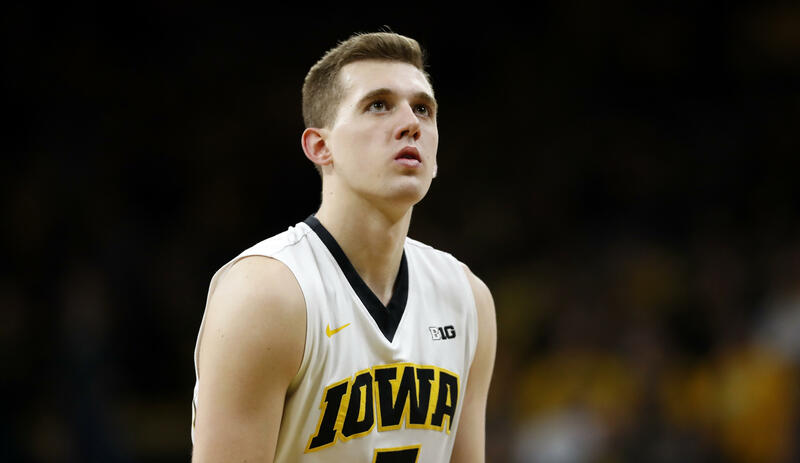 Jordan Bohannon scored 25 points with seven 3s and Iowa held off Northwestern 77-70 in its home finale on Sunday night, snapping a six-game losing streak. Bohannon had a chance to break the school record for consecutive free throws of 34 held by Street, who died in a car accident midway through the 1993 season, late in the second half. But Bohannon, an Iowa native, pointed to the sky and intentionally missed the free throw that would've knocked Street out of the record books - with Street's parents in attendance. "That's not my record to have. That record deserves to stay in his name," Bohannon said. "It's been on my mind for a while....life is a lot bigger than basketball."